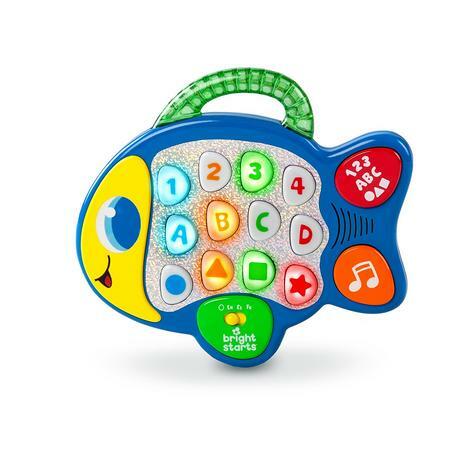 There are plenty of fish in the sea - but none like this! 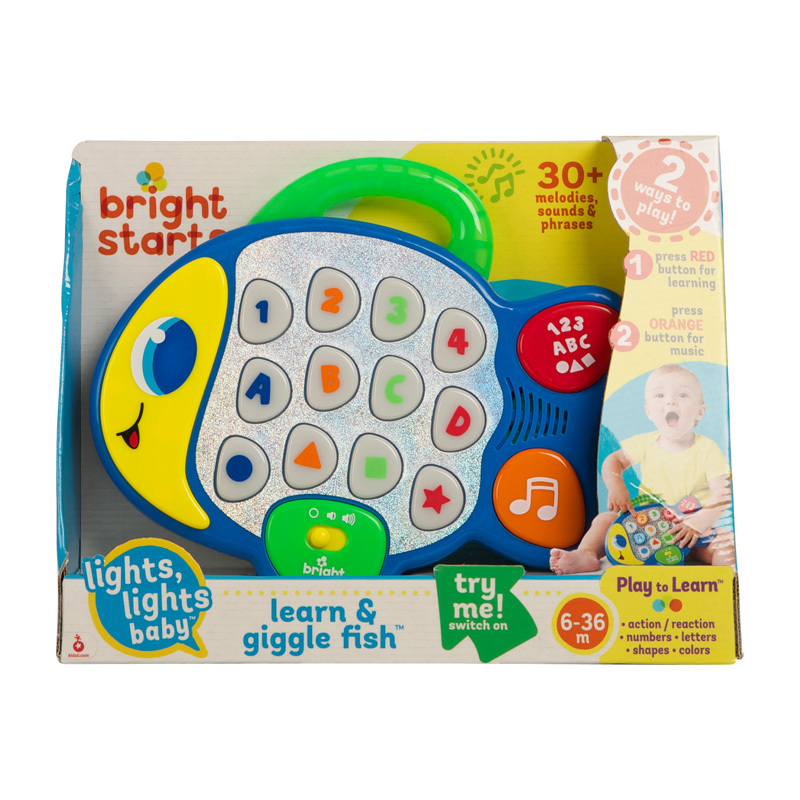 Bright Starts™ Learn & Giggle Fish™ is the perfect way to help baby discover letters, numbers, and shapes while entertaining baby with lights and music! This little fish doubles the fun with 2 play modes. Baby can press the buttons to hear numbers, letters , shapes and colours. 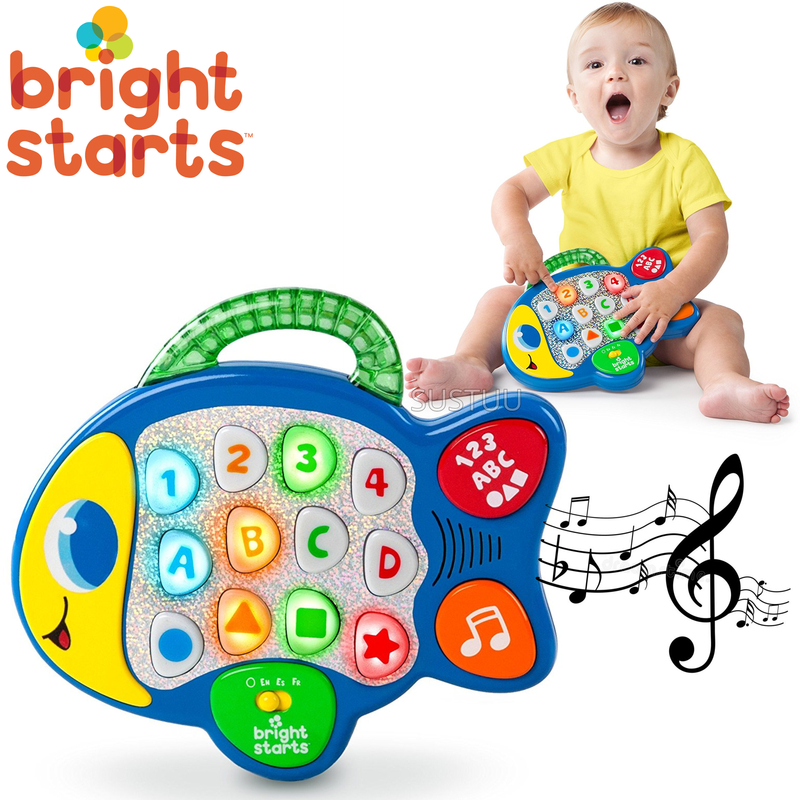 In music mode, baby can press the fish scales for sounds and music. 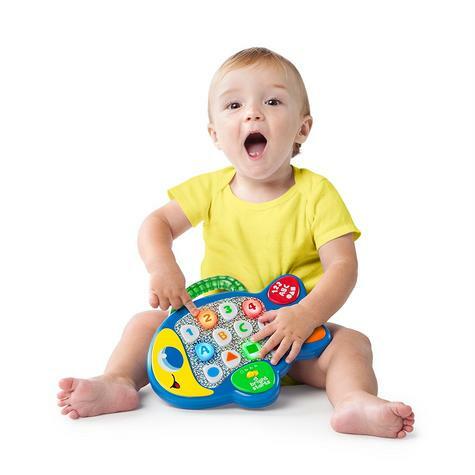 Easy-to-grasp handle makes it easy to take this interactive friend on-the-go. 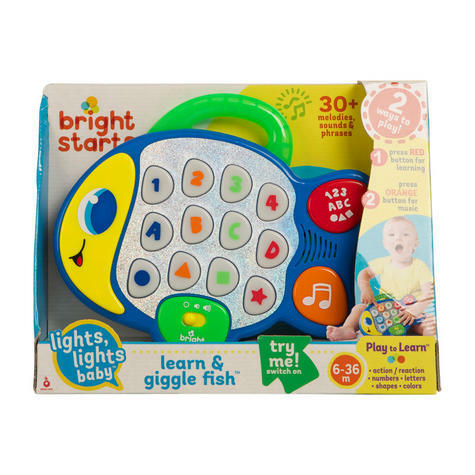 Bright colours and reflective scales will keep baby reeling in the fun!